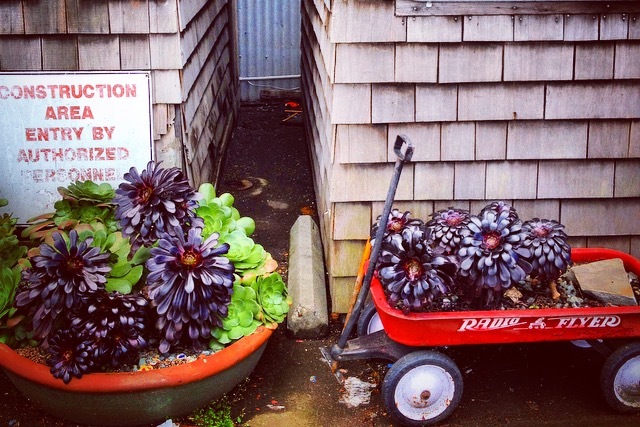 Aeoniums do not need a traditional planter to thrive! 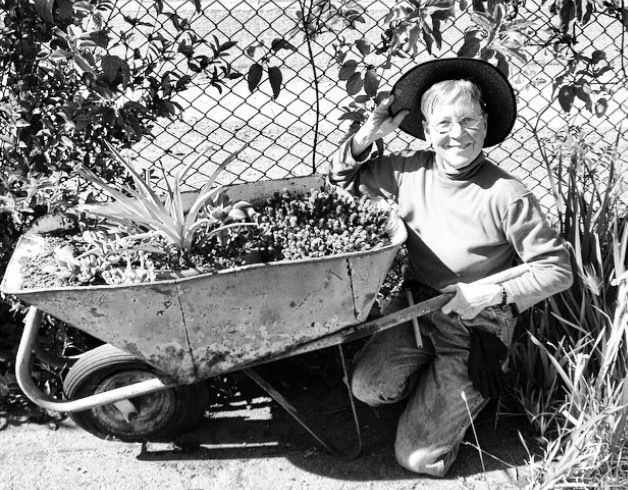 Here at Urban Ore we are very lucky to have a dedicated gardener to help keep our grounds looking pleasant. Alice Green, an old friend to Urban Ore, makes use of objects she found onsite, and many customers take photos to stimulate their own ideas . 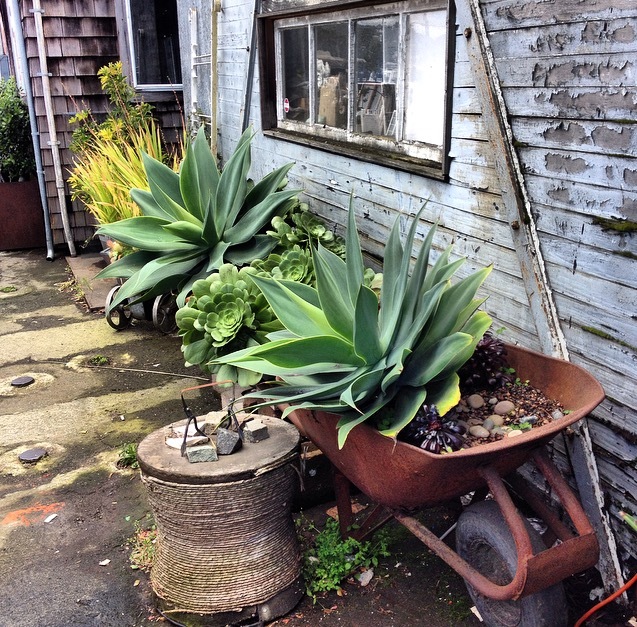 By reusing items such as rusty old wheelbarrows, old tubs, retired Radio Flyers and the like, Alice helps Urban Ore keep to our mission of Zero Waste. This sort of reuse is not only good for the environment by avoiding landfilling, it is also very good for the soul. You don’t need any studies to prove that more vegetation and the act of gardening relieve stress and create a more pleasant atmosphere in all senses of the word. 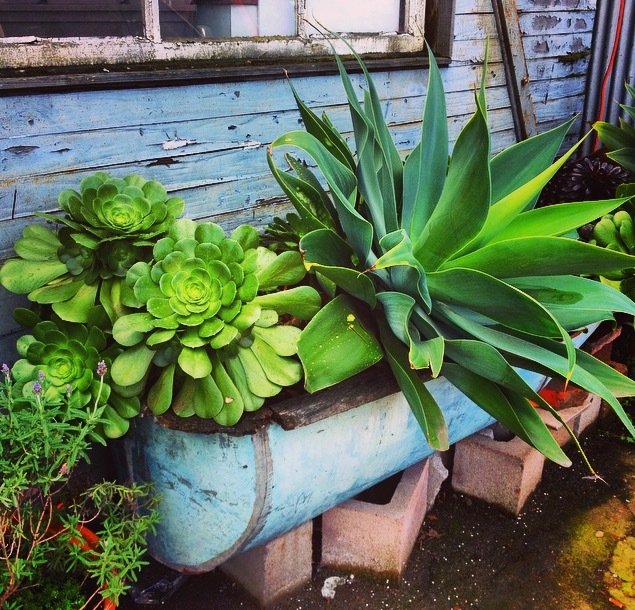 Succulents lushly thriving in an old patinated copper tub. 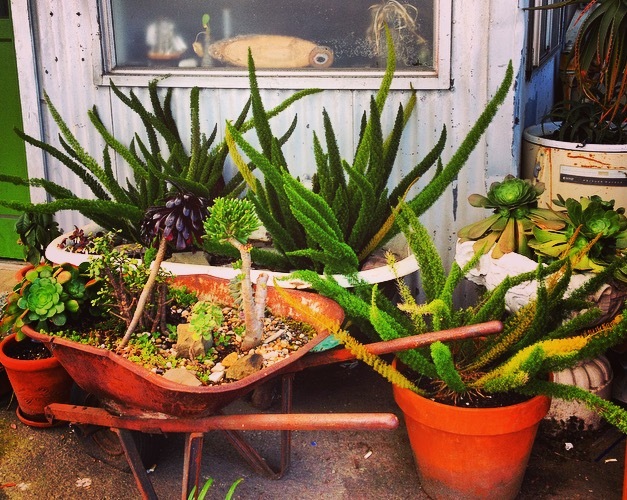 Succulents growing happily in an old rusty wheelbarrow. 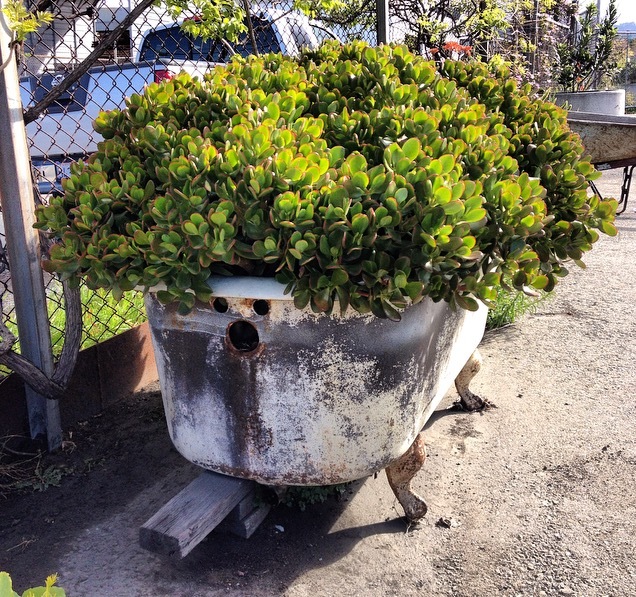 This jade is loving its life in a reused clawfoot tub. 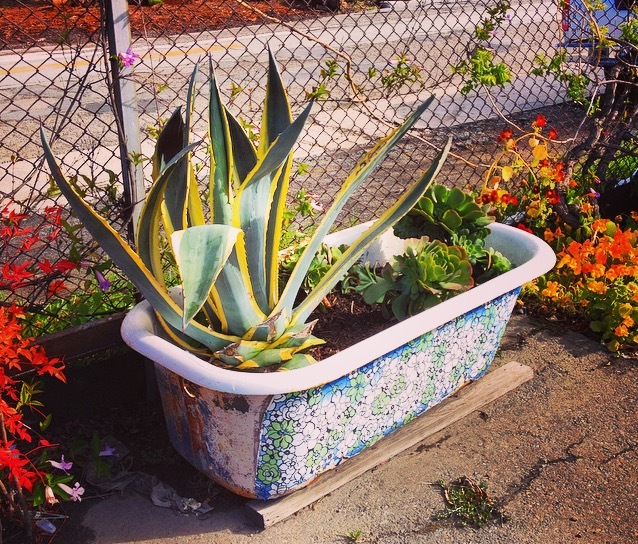 Beautiful agave thriving in a clawfoot tub. Alice Green next to one of her lovely reuse garden creations. The plants are beautiful and refreshing. The plants are beautiful and refreshing. Keep of the good work.